ARLINGTON, VA – April 11, 2017 – Hobsons® is pleased to announce that three K-12 schools and districts and six higher education institutions have been selected as finalists for the 2017 Hobsons Education Advances Awards, recognizing innovative approaches to helping students succeed. The finalists, selected by an independent panel of judges, are leaders in combining people, process, and technology to make a difference in the lives of students. Finalists for the K-12 Naviance College and Career Readiness Award are: Aptos High School, Aptos, Calif.; Edmonds School District, Lynnwood, Wash.; and Naaman Forest High School, Garland, Texas. In the higher education Admissions and Enrollment category, the finalists are: California University of Pennsylvania, California, Pa.; Colorado School of Mines, Golden, Colo.; and Montana State University, Havre, Mont. In the Student Success category, the finalists are: Guttman Community College, New York, N.Y.; Morgan State University, Baltimore, Md. ; and Northeast Wisconsin Technical College, Greenbay, Wis. The award-winning institutions in each category will receive $2,500. Two finalists in each category will receive $1,000 each. Winners will be announced in July at the company’s annual users conferences, the Naviance Summer Institute in Orlando, Fla., and Hobsons University in Indianapolis. Aptos High School, Aptos, Calif. – In 2015, this public high school successfully lobbied its Booster Club to provide funding for Naviance® by Hobsons for five years, achieving quick success that convinced district leaders to adopt Naviance to support students at all three of its comprehensive high schools. Edmonds School District, Lynnwood, Wash. – Beginning in middle school, this district identifies students from low-income, non-native English speaking families – many of whom are the first in their family to go to college – and provides them with additional support to reach their educational goals. 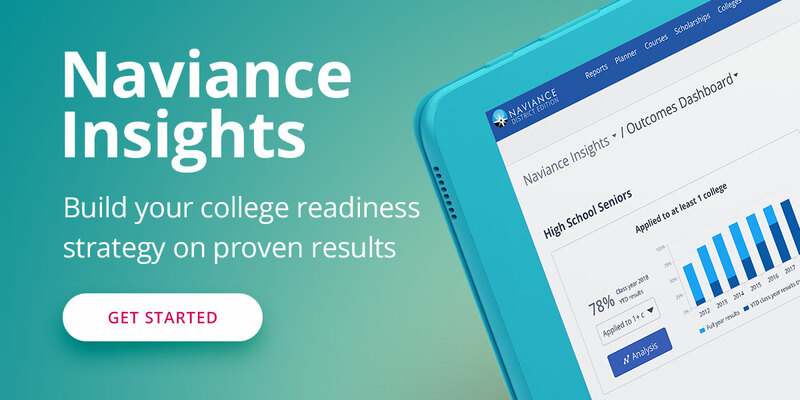 The district uses Naviance to create a “one-stop shop” for college and career readiness, with lessons, activities, and resources to this targeted group of students, tracking their progress through high school graduation. Naaman Forest High School, Garland, Texas – This public high school in suburban Dallas, with 51 percent of its students qualifying for free or reduced-price lunch, initiated the use of Naviance in the 2015-16 school year to increase college research and college applications, and enhance communication between the school’s counseling office, students, and families. Since implementing Naviance, FAFSA completions and college applications have increased significantly, increasing students’ chances of enrolling in college. California University of Pennsylvania, California, Pa. – Cal U implemented Hobsons’ suite of services, including Radius® by Hobsons, to create a single-source CRM solution for enrollment management, retention/persistency, at-risk advisement, technology integration, and data management. This has allowed the university, which is part of the Pennsylvania State System of Higher Education, to increase efficiencies in the recruitment lifecycle funnel and to improve conversions. Colorado School of Mines, Golden, Colo. -- The graduate office at Colorado School of Mines converted its time-consuming paper application process to an electronic process to decrease the time between decision to acceptance. Using Hobsons’ ApplyYourself and AppReview, the graduate office reduced application processing time from several days to several hours. Montana State University Northern, Havre, Mont. -- In 2015, the entire Montana State University system, referred to as One MSU, collaboratively pursued a partnership with Hobsons to implement the Radius CRM to solve data and communication challenges that were hindering recruitment. Radius has since helped the Office of Admissions and Recruiting at this small, rural university streamline its workflows and to be more strategic in its recruitment efforts. Morgan State University, Baltimore, Md. – The university’s Office of Student Success and Retention uses Starfish to help increase student retention rates and persistence to graduation through early intervention and systematic tracking of undergraduate students. Starfish has allowed the university to provide higher-quality advising, introduce a more transparent and efficient method of early risk targeting and intervention, and improve student accountability. Northeast Wisconsin Technical College, Greenbay, Wis. – At this two-year technical college, every employee is responsible for finding ways to help students master their courses, remain in college, and achieve a college credential. NWTC implemented Starfish to help weave the concept of student success into every facet of the student experience, improving course pass rates, student grades, and persistence toward graduation.